Rapper Lil Wayne has been hospitalized for multiple seizures in Chicago, forcing him to cancel a Sunday gig in Las Vegas. 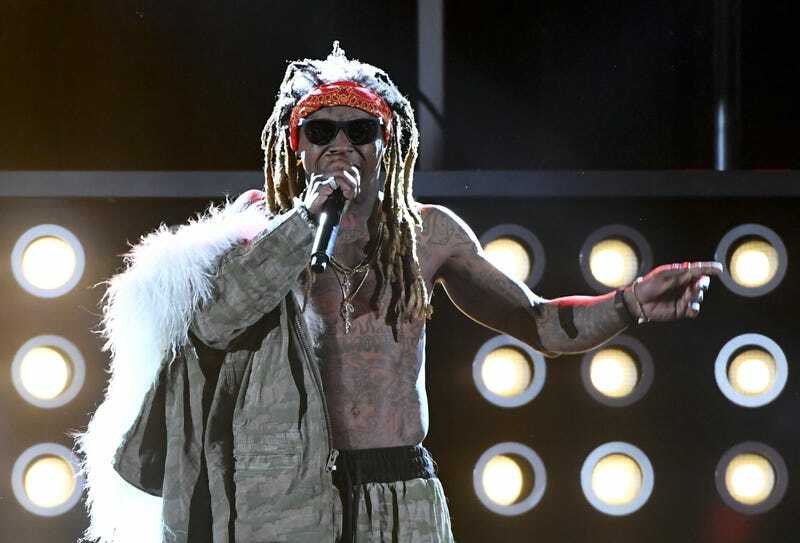 According to TMZ, who heard from his reps, the 34-year-old Young Money capo was hospitalized Sunday after he was found unconscious in his hotel room at the Westin on Michigan Avenue. Wayne was rushed to Northwestern Memorial, where he suffered yet another seizure, according to the report. Doctors advised him to remain in the hospital, so he had to cancel a Vegas show with Rae Sremmurd that had been scheduled for late Sunday night. In 2012, Lil Wayne’s private jet made an emergency landing in Texas because of to an in-flight medical seizure. The nastiest rapper outchea, who was born Dwayne Michael Carter Jr., confirmed to a Los Angeles radio station in 2013 that he suffers from epilepsy, but rumors of drug abuse—specifically lean—that has exacerbated the condition have dogged him for years. Here’s to Weezy’s speedy recovery!